Leaving Reykjavik is essential to appreciate and enjoy Icelands’ natural beauty. As there is no rail system, travelling by road – either on a tour or a self drive – is the only way to explore this beautiful country. Non winter driving is easy; Icelands’ roads are quiet by European standards, well signposted and in great condition. Winter driving is not for the faint hearted or people unused to such conditions. Car hire is expensive and it is worth spending time researching the best deal. We hired a small car for our family of five from SADcars in Reykjavik city centre. It was basic (no sun visors, mats and several dents) but it was safe, roadworthy and was one quarter of the price of other car hire companies – and it had a life saving radio for entertaining the children! Akranes is not a usual stop on the Icelandic tourist route; it is a small industrial port town bordering the sea, 49km north of Reykjavik. 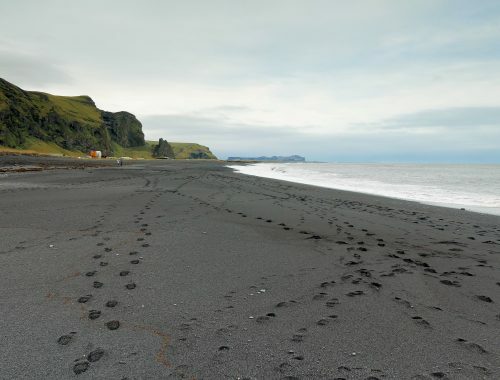 We chose to visit partly to see small town Iceland and partly to practise driving before embarking on two long day trips to the South Coast and around The Golden Circle! It is an easy, scenic and well signposted drive to Akranes, part of which travels through the Hvalfjorour Tunnel; an incredible feat of engineering at 5,770m long and a depth of 165m. Our children loved the seemingly never ending tunnel but we did not love the toll price of 8 Euro each way! (There is talk of this toll being removed in 2018). Akranes is a pleasant town to stroll or drive around – we had a look at the school and enjoyed viewing the different styles of houses. 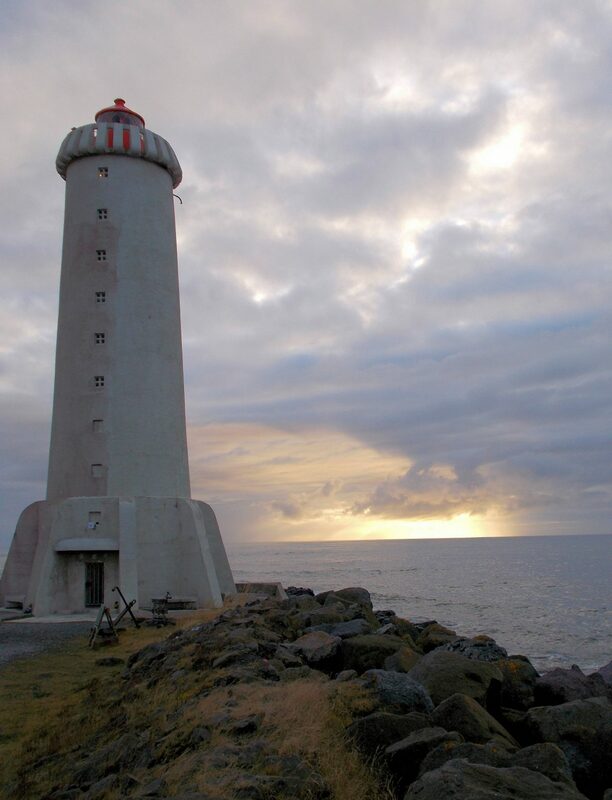 The main draw in Akranes are the simple, squat lighthouses overlooking the wild Atlantic Ocean. However, due to their short stature, they are not easy to find; you have to drive through the unattractive port to get to them and you cannot see the lighthouses until you are upon them! 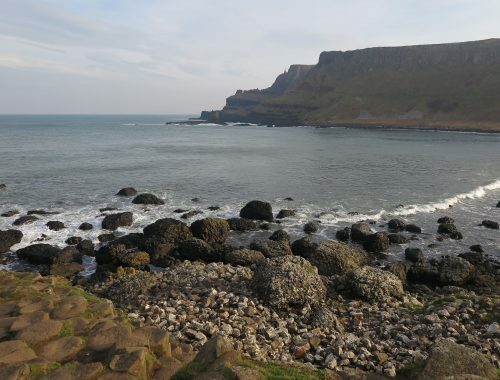 A small entrance fee allows you climb to the top of the larger of the two lighthouses and we enjoyed exploring the rock pools and rocks nearby – just watch out for the unpredictable and very strong waves. On a grey, windy day this coastline is a wild, atmospheric place. 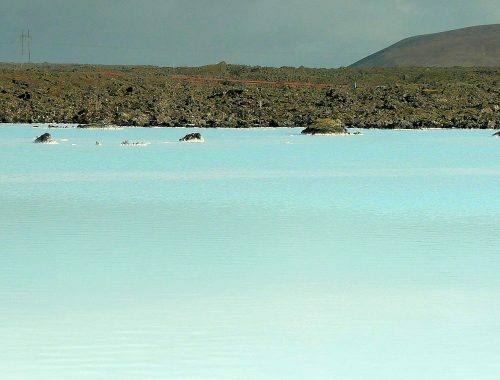 Iceland has numerous public swimming pools which are open to tourists and are very affordable for visiting families. We visited the outdoor thermally heated pool at Jadarsbakki; entrance was very reasonable at around 6 Euros each. The complex has a large main swimming pool, a multi lane wavy slide into a kids pool and three smaller pools, or hot tubs, of varying degree of skin cooking capabilities. For novices, it is a weird feeling to swim outside in such cold weather and yet be tropically warm! Our children loved it. Akrane locals were friendly, chatty and inquisitive as to what had brought us to their town. There are however, strict etiquette rules in public swimming pools so either ask before using the facilities or try to find the rules in your language to avoid being shouted out by an irate Icelander. (We didn’t realise we had to dry off in the shower before entering the changing area and made the changing room floor wet. A big no-no apparently)! Our day trips from Reykjavik gave us a different perspective of Iceland and only fuelled our desire to return and drive the complete island circuit. I would love to hear your comments or tips for places you have visited.